It is one thing to periodically test the air quality of multiple clean rooms in a large pharmaceutical facility. It is quite another challenge to translate the raw test results into meaningful information from which informed decisions can be made. 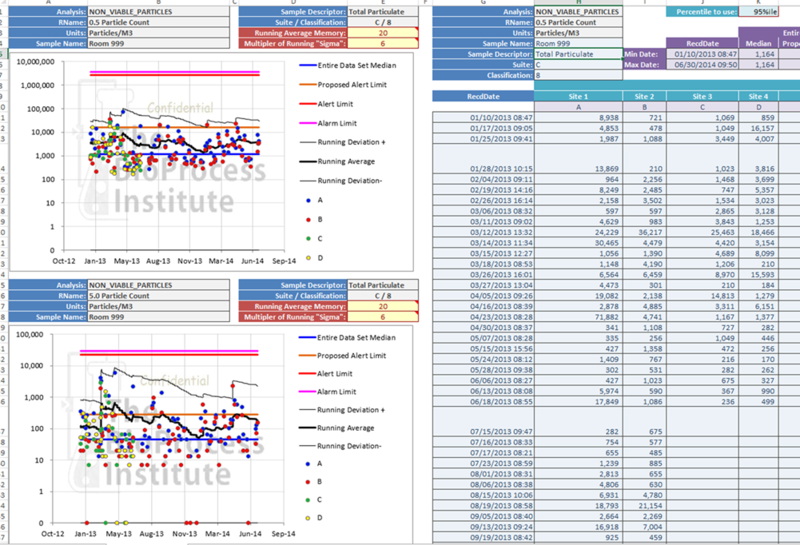 A large facility came to the BioProcess Institute and AutoSoft with a "pile" of data and a new reporting tool was born. Implementation at your site is fast and easy! 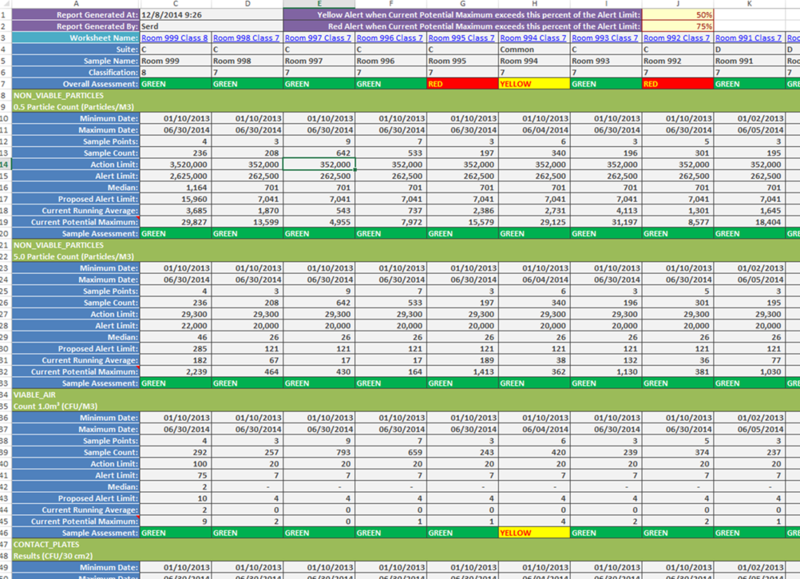 This web page was last updated at 04/08/2015 09:05 AM and is written in EXCEL!